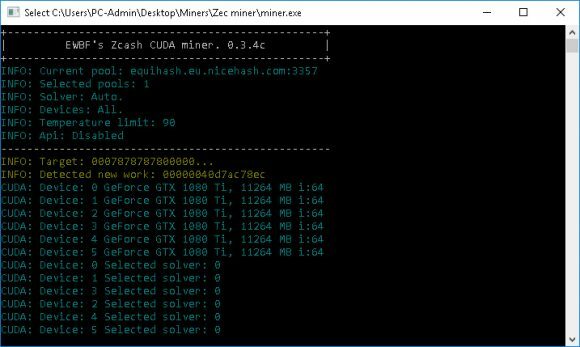 It has been quite a while since we have seen a new update for the EWBF’s ZCash CUDA Miner that is one of the most used miners for Equihash-based coins on Nvidia GPUs. Interestingly enough the new version 0.3.4c was made available from Bitcoin Gold team members and via an update on the Bitcointalk thread for example. 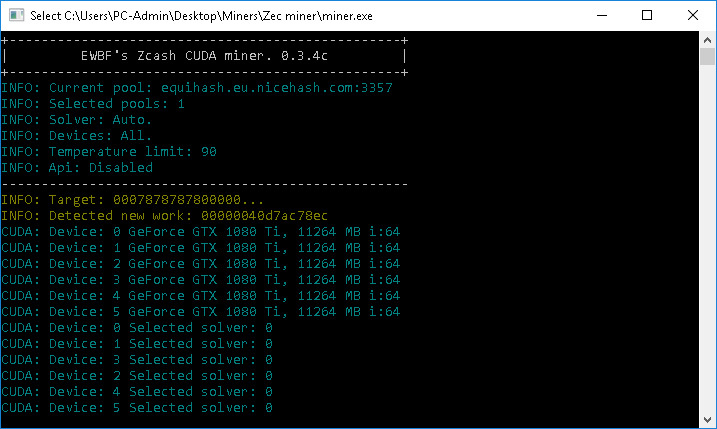 The updated EWBF’s ZCash CUDA Miner 0.3.4c promises an improvement of the mining speed of up to about 4% according to the release details, and we are actually seeing some slight performance increase based on our quick initial tests on GTX 1080 Ti, the new GTX 1070 Ti seem to benefit a bit more though. Do note however that the performance increase may vary depending on the settings of your GPUs – TDP and clock settings, so feel free to try out this release and report your results. The new EWBF’s ZCash CUDA Miner 0.3.4c can be used to mine Bitcoin Gold or any other Equihash-based crypto coin, so this release is not intended ro limited only to BTG. Do note that it comes as a binary only release for Windows and Linux and there is a 2% developer fee that can be disabled with a parameter.